Flight or plight? Thank God it’s just a simulator! The dream of flying is perhaps nearly as old as mankind itself. We do not know for how many casualties innumerable trial-and-error experiments are responsible. The myth of Daedalus, the sly old Greek and his boisterous son Icarus, became the stuff for serious text-book entries. With a merciless sun gradually sizzling away Icarus’s wings of wax, the poor devil plummeted right into the sea – having been robbed of life-saving aerodynamics. In reality, crash tests with astonishingly inventive contraptions operated by bright, adventurous minds formed a never-ending chain of often fatal accidents over the course of time. Thanks to the courage and relentless efforts of these pioneers, aircraft have become a fast, comfortable and comparatively safe means of transport. 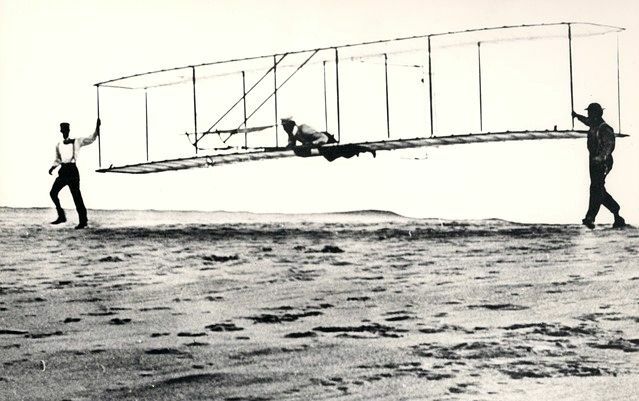 Orville and Wilbur Wright knew no fear and displayed relentless perseverance. Those wanting to exchange their usual passenger’s seats for a chic pilot’s throne, will either have to undergo the respective rigorous training or simply hop onto one of the many flight simulators available around the globe. Just pretending to be flying that aircraft is such fun, although some aptitude for technical terms and situations, the ability to follow instructions plus a reasonable share of reactivity may come in handy to avoid the worst. Even when your take-off has been hazardous, the skies you had to conquer were nauseatingly turbulent and your landing frightfully gruesome with fire-brigade and ambulance yowling along: It’s just a game, no real harm done and you’re safe and sound, no matter how unhappy the performance you have just delivered may prove. In case your blood-pressure rocketed sky-high – of excitement or awkwardness – the sensation will subside eventually. And what’s left in the end, is an experience you would not want to miss for anything in the world.